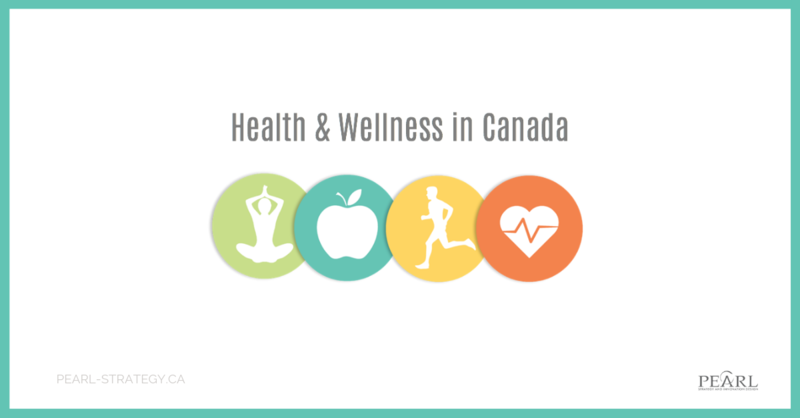 This is the 3rd and final instalment of a 3 Part blog series that provides an introduction to our Health & Wellness in Canada study. We hope that you’ll find some insight that will lead to growth opportunities for your business. 1. The role of technology in health & wellness is still primarily for finding information. Millennials are leading the way in terms of technology integrated solutions for health & wellness. 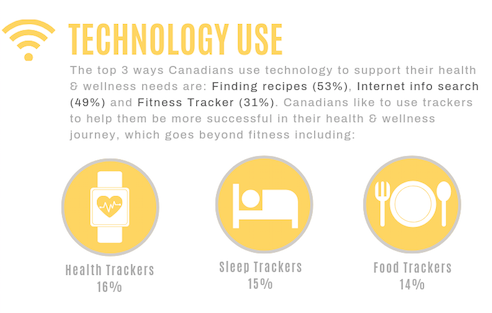 Canadians use technology in a variety of ways to support their health & wellness needs. Finding recipes and online searches were the top 2 ways technology is used. Females rated Finding recipes and Online searches significantly higher than males. To help Canadians on their health & wellness journey, make sure they can find your brand online. Also, look for opportunities to integrate products and services with consumers existing technology platforms (e.g. apps, trackers), or provide tech-centric solutions. 2. To be noticed in the health & wellness space, there is a need to have a strong online presence. Be accessible to Canadians through their preferred methods – both online and offline. 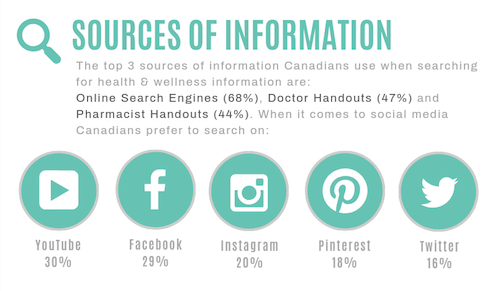 Canadians use a variety of both online and offline methods to access health & wellness information. Online Search Engines was the dominant choice, with Doctors and Pharmacist information in 2nd and 3rd place respectively. Social media was also a popular destination, with one third saying that they frequently/always use YouTube and Facebook. Millennials rated Online search and all Social media platforms (Facebook, Twitter, Instagram, YouTube, Reddit, Pinterest) higher than other age segments. Understand where your target customers are searching for health & wellness information and meet them in their comfort zone, when they are most receptive to health and wellness messages and discussion. 3. To be relevant in the health and wellness space there is a need to understand the trends or approaches Canadians are following. Offer advice, services or product solutions that will allow them to be successful while experimenting with these new approaches. 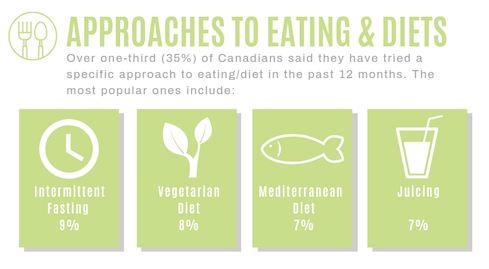 Canadians are using a number of different approaches to eating healthy and diets. Over one third of Canadians said they have tried a specific approach to eating or diet in the past 12 months. The top 3 approaches are: Intermittent Fasting, Vegetarian Diet and the Mediterranean Diet. Understand what types of healthy eating or dieting approaches your target customers are interested in and find relevant ways to communication or provide solutions for them.